The only shoes built to fight the patriarchy. TImberland has a history of honoring hard work and wanted to extend that to their womens line. 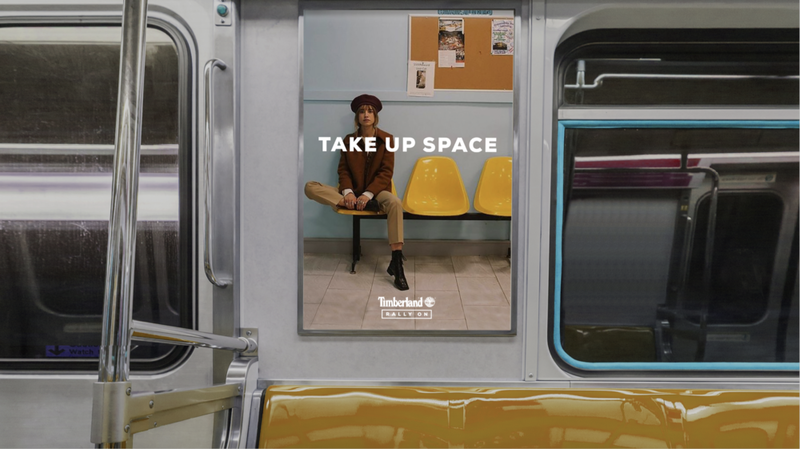 To launch the new line we created a massive national OOH campaign titled “Rally On.” Instead of telling women that they can do it, we wanted to applaud women for already doing it with statements that were subversive and cheeky. To highlight all the amazing women missing from your history books we developed #SheMadeThat, an Instagram series that celebrates and highlights female inventors and innovators in unexpected ways. *Unfortunately Timberland ended up passing on this project in favor of something more traditional. Their loss.